Anime Blogger Template is fully responsive, magazine style clean and Html5 responsive blogger template designed especially for animes. 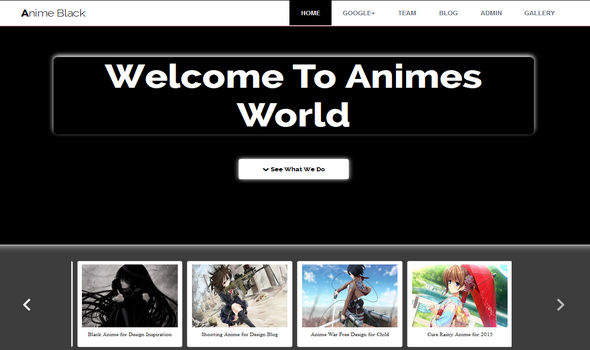 Anime Blogger Template is fully responsive, magazine style clean and Html5 responsive blogger template designed especially for animes, cartoons and latest animes blog posts website. This template is very suitable for those who are running a successful anime blogger website/blog. It is a creative, professional looks and ads ready template which comes with lot of dynamic features. It's flat design and awesome slider widgets make it unique the most professional anime template for all blogger sites. This template totally work on drag and drop so you don't need to dirty your hands with coding. A perfect magazine style blogger template for anime niches websites. 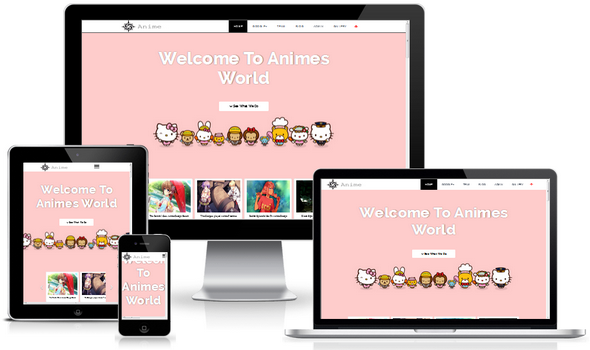 100% Responsive Mobile Layout: Anime is a fully responsive blogger theme same as modern portfolio template, It uses almost every media query for responsiveness. So this theme will be loaded with perfect resolution on any device from iPhone, mobiles to desktop. 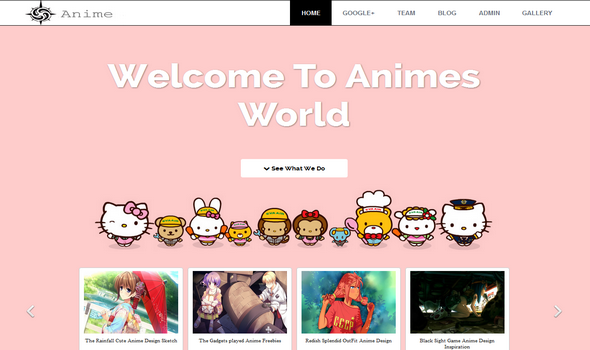 Layout: Similar to our previous released BlogPress Template,..Anime also comes with two different layouts. User can select the desire theme which suite the site. 1: Stylish Random colorized Anime Template. 2: Black Interface with Flat Design Anime Theme. Navigation: One Mobile version navigation added at the top, so, you can easily navigate the site even on mobile devices. We have added a nested menu which means, you can add extra child menu to the parents one. Labels : A stylish labels added similar to organic blogger theme, these labels will be displayed at the bottom of every post. So, you can assign upto 10 labels per/post and all these labels will be clearly displayed just above the author bio. Ads Ready: A website without having proper ads slot is nothing, Since This template is fully ads ready which means, you can install any ads, banner, like adsense, buysellads in easy steps from the blogger dashboard layout..
Related Post Thumbnail: We have installed a professional looks related thumbnail widget to show all the relevant posts below the author bios. This will help to increase the pageviews and will help the user in navigating the site deeply. We are really hopping Anime Blogger Template would fulfill all your dreams you ever want with Blogger site .We have tried our best to make this template unique, professional and perfect. If we really miss anything precious then kindly let us share in below comments.